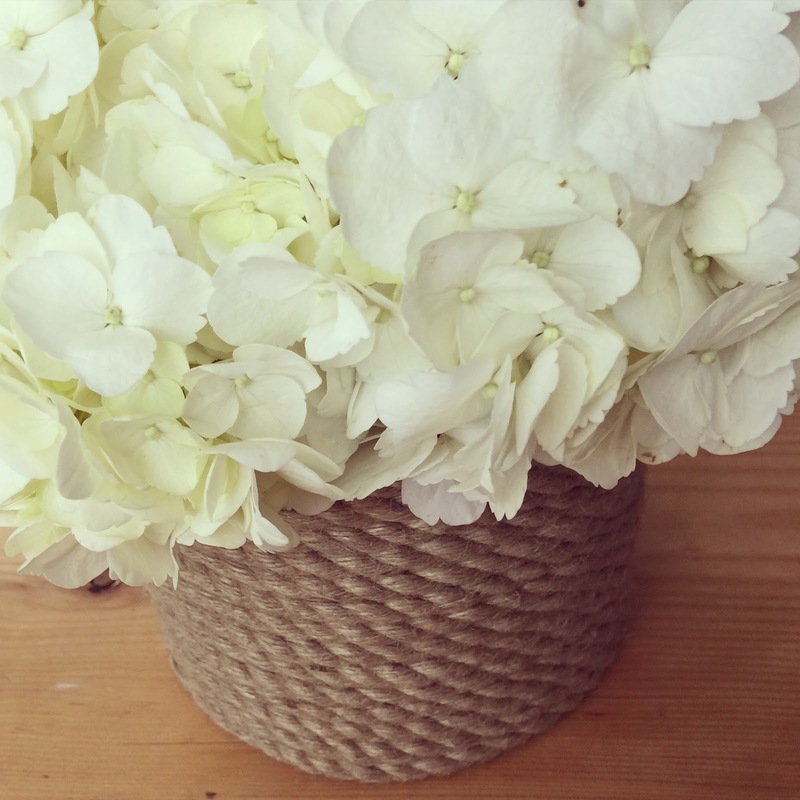 Lisa loves John: DIY Jute Vase! Is anyone besides me a vase hoarder? I swear, I have a million vases without any good place to keep them all. Go to Target? Buy a vase! 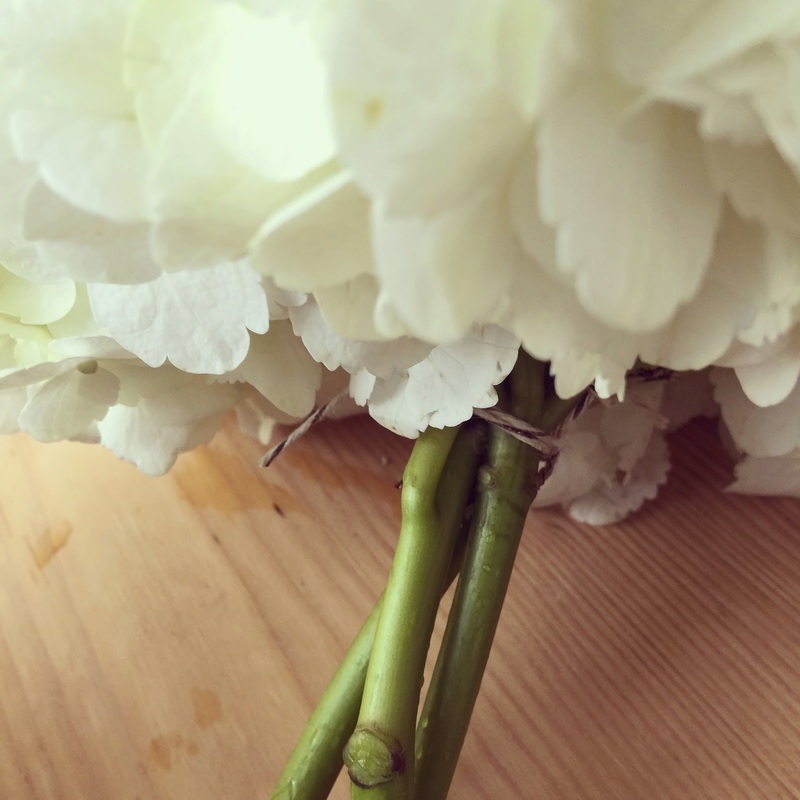 Someone sends you flowers? Vase fo' free! 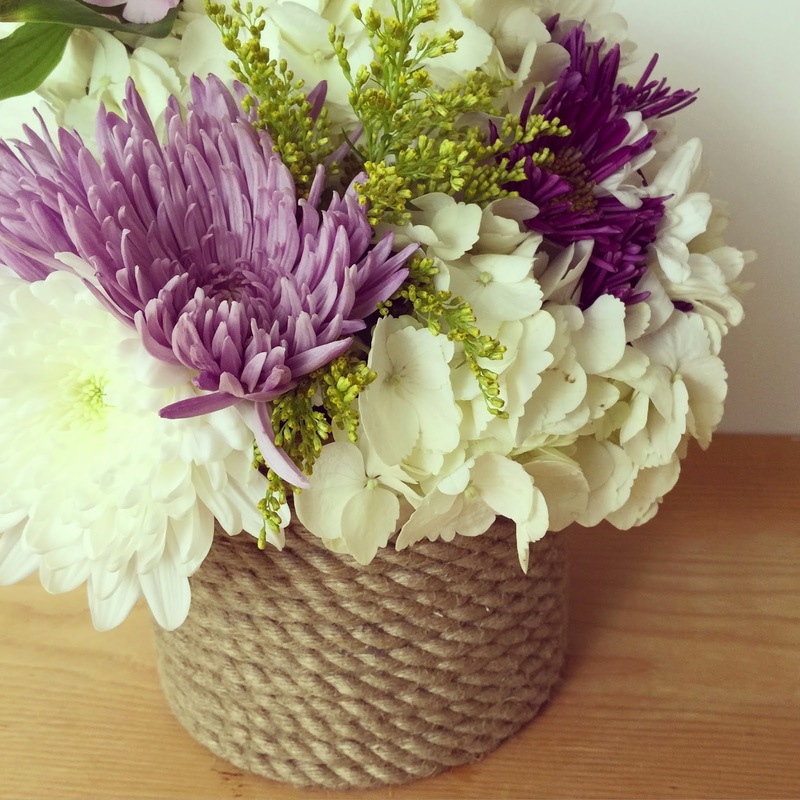 Needless to say, this Easter I was in the mood to snaz up a vase for a pretty centerpiece, and I thought a little jute would be a perfect rustic touch to be paired with some soft and pretty flowers! 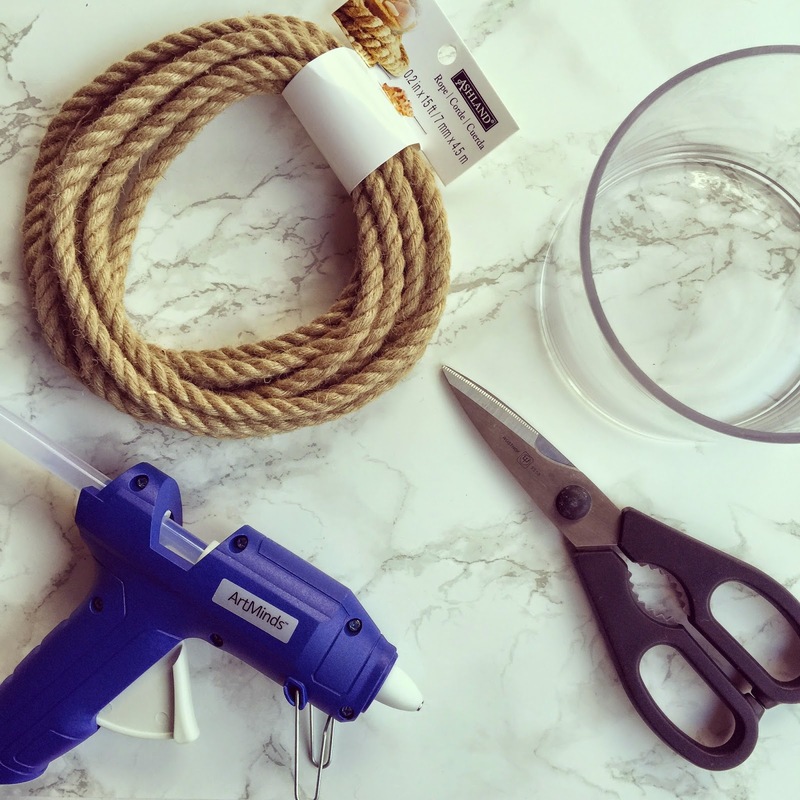 All you need is a hot glue gun, jute or twine, scissors, and a vase. 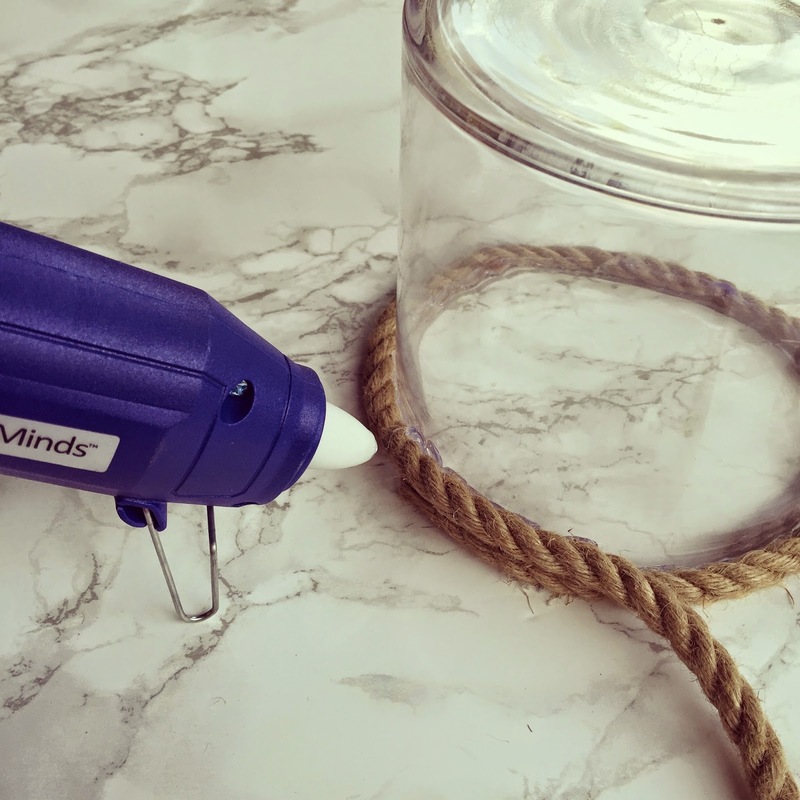 If you would rather not upcycle a vase, any container will do - so think creatively! 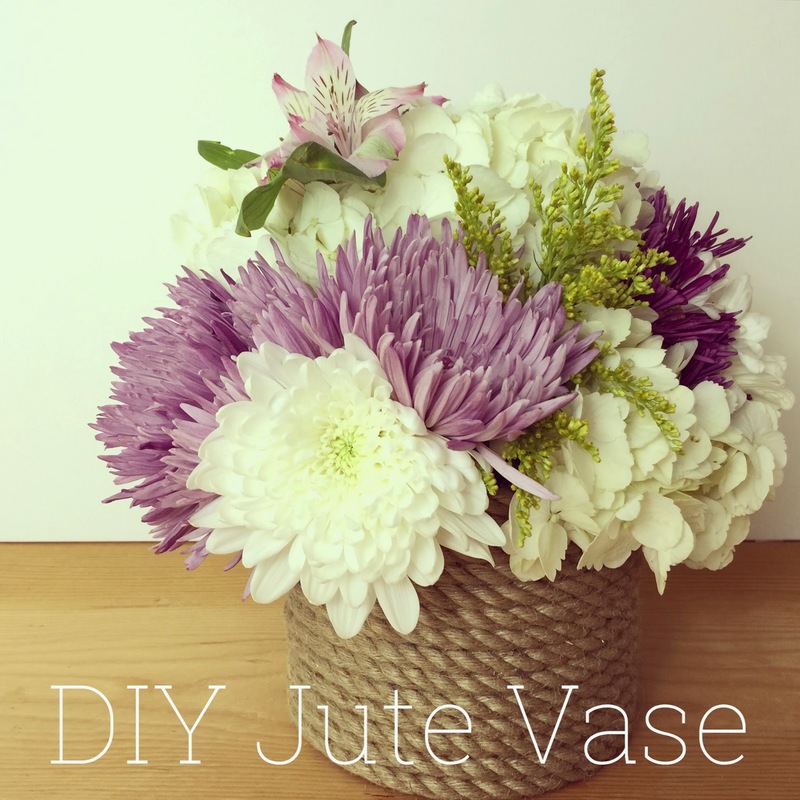 Flip the vase upside down and start hot gluing the jute to the vase... I fastened three or four inches at a time making sure each section was secure before moving on. Continue the process up the vase, and ensure that each layer of jute is closely glued to the one below it. 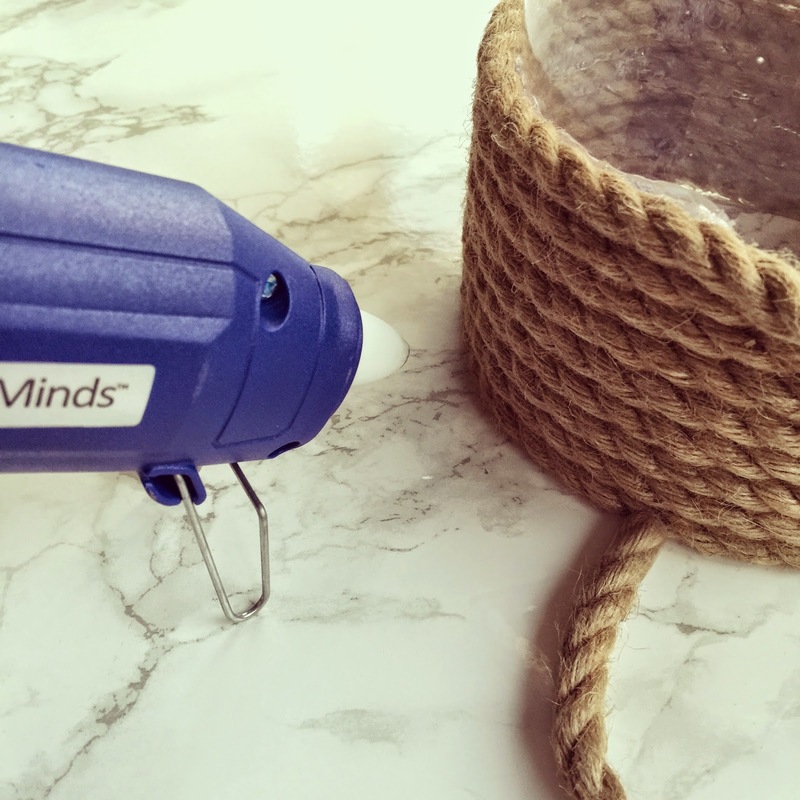 You may need more than one roll of jute, and if you do, start a new piece on the same side of the vase that you started gluing... this will be the "back" of the vase. 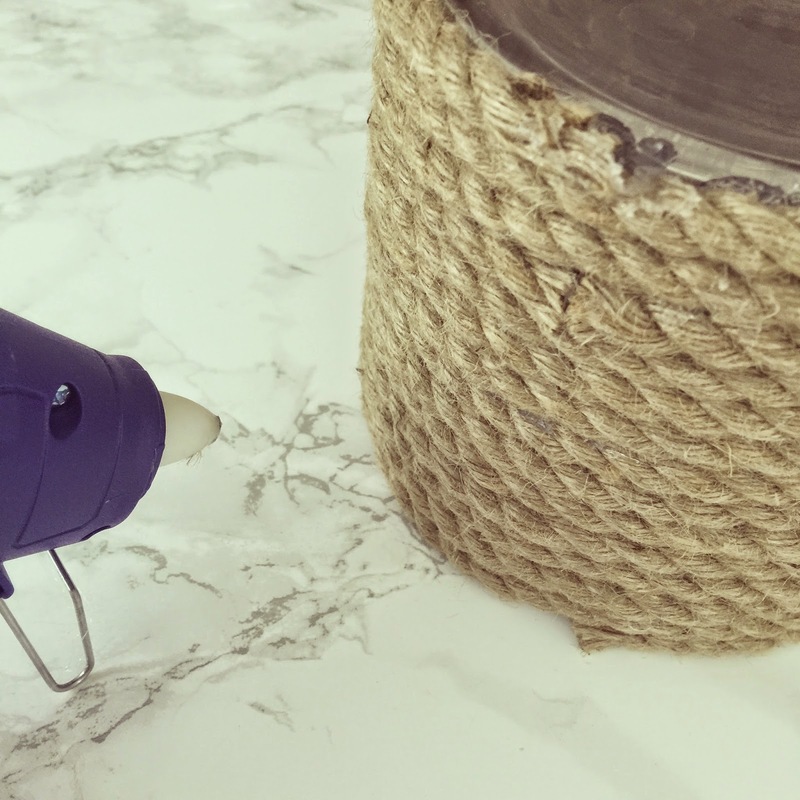 Trim the jute to finish and secure on the "back" of the vase. Now for the fun part... the flowers! Flip the vase over, fill with water, and start arranging. 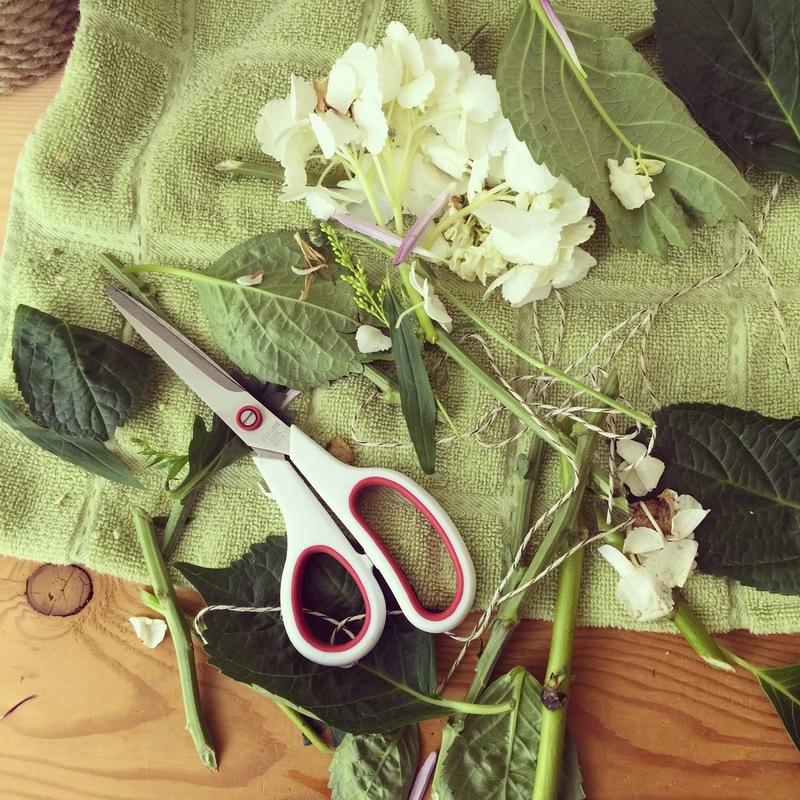 I began by securing 3 hydrangeas with twine to help support them in the vase (my vase was pretty short since I was using it for a centerpiece and the hydrangeas were a bit top-heavy otherwise). 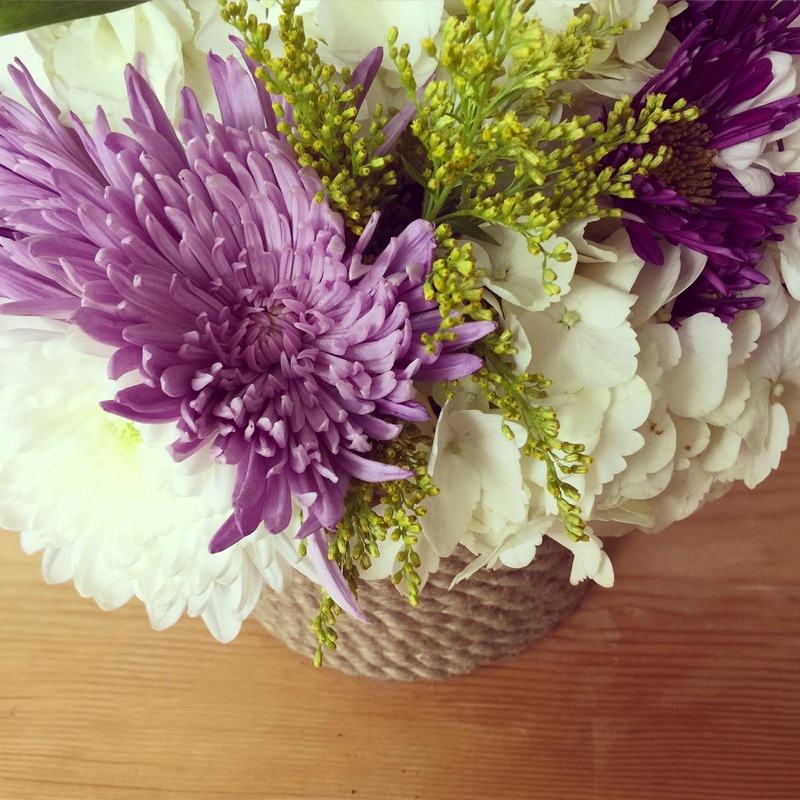 Place your flowers in the vase and start building around them and adding in more flowers. 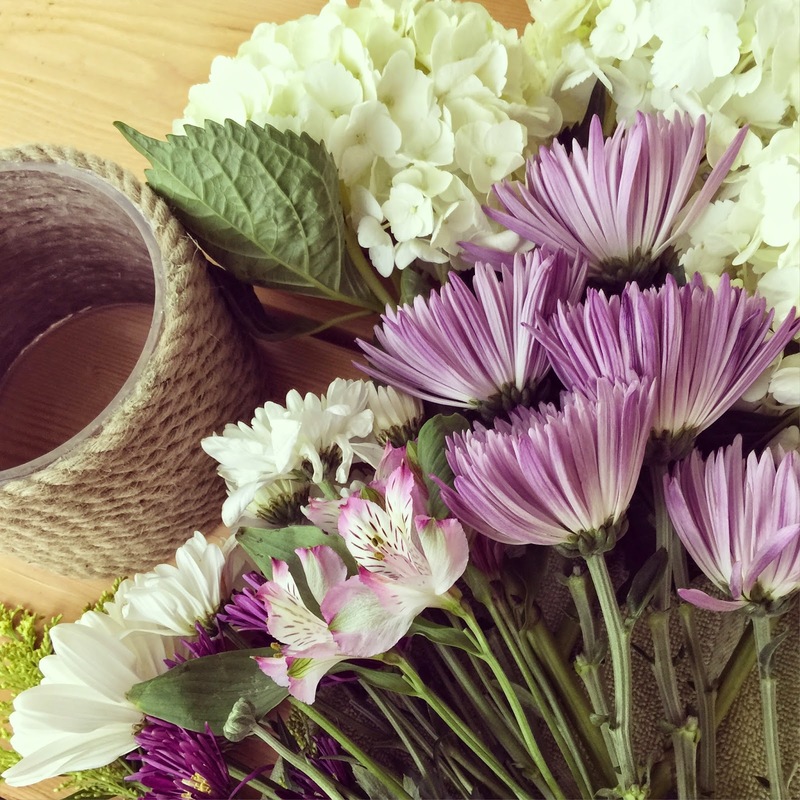 I have been buying my flowers at Trader Joe's and I've had such great luck... they always have a great assortment, and they seem to last much longer than the flowers from Whole Foods. Am I the only one who thinks being a florist may be the best job ever?! I could spend a ridiculous amount of money on flowers! So cute! I definitely need to do this. I am absolutely a vase horder!! I love the look of this one! Such an easy way to spruce it up! I love this! What a cute idea that is perfect for summer! hahah you beat me to this post! I just made several vases similar to this but with cans and rope. We are using them as one of the centerpieces for our wedding. I love the look with jute, I may have to get some of that as well. This is a really cute idea, very nautical! I have covered a few things with twine. Wine bottles, vases, old candles. I really like how chunky the jute is. 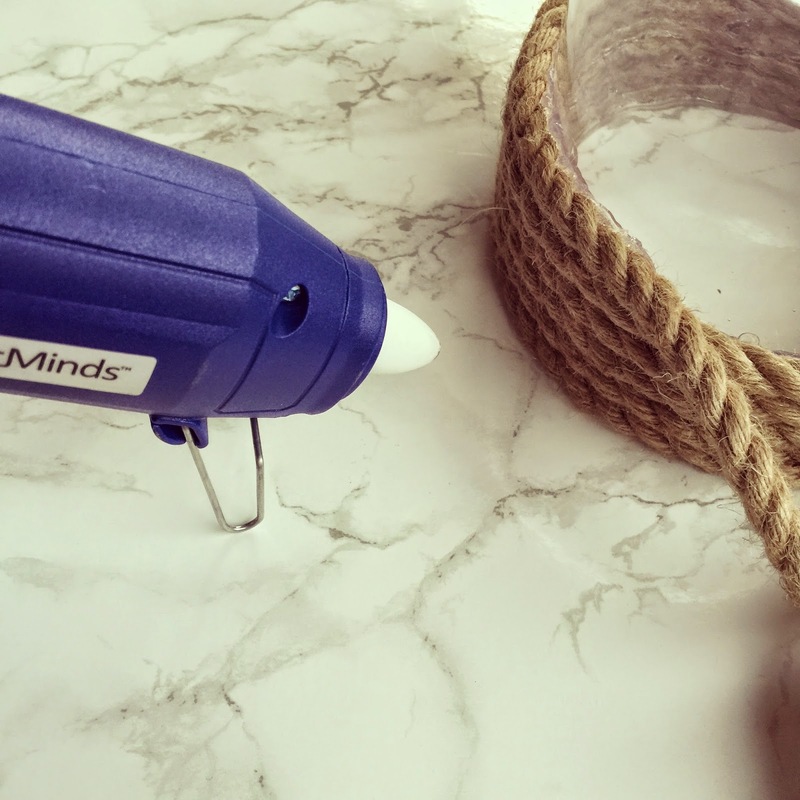 Your DIY turned out great! Also, as a former florist, you did a great job with the arrangement! That arrangement + vase would easily be sold for $35! So cute and looks relatively simple! Hydrangeas are my favorites too! How simple and so beautiful! I have to try this! Love this! All of your crafts come out great! UGHHHHHHHH!!!! I literally just gave all my vases away to Goodwill last week!!! Ok, I want your creative brain. I can totally make that, but would I have ever thought to do it on my own? Of course not. Sheesh. Adorable idea, and so simple! Confession: I am a fellow vase hoarder. However, I do keep them filled with flowers & plants. 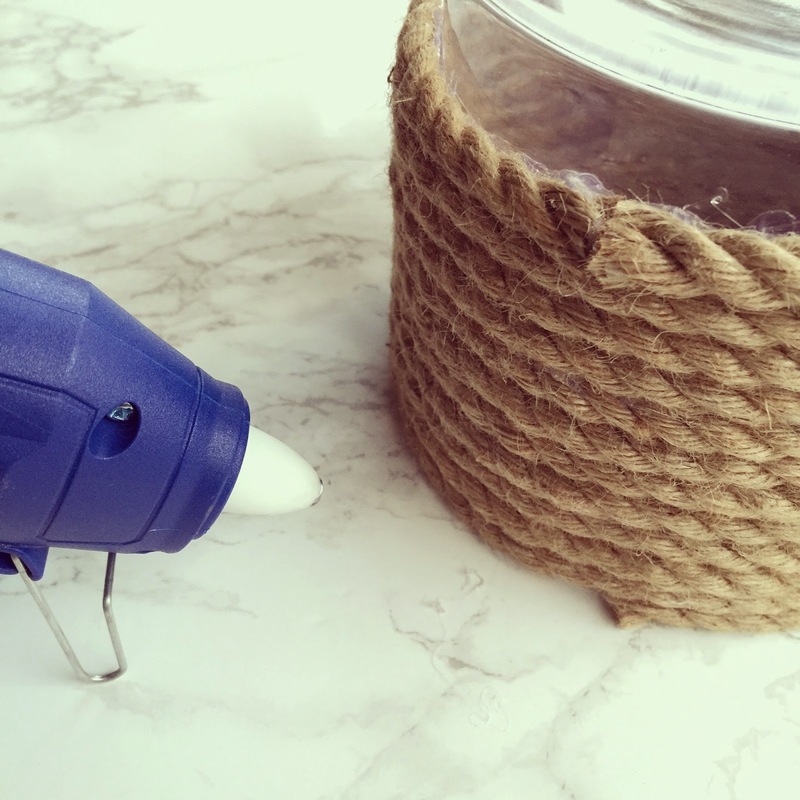 This is a lovely D.I.Y project! When I was packing up my kitchen a friend of mine was helping and she said "Why do you have so many vases?" Ha! Love this idea! Think I'll definitely be doing it when our house is back in order!